Horoscopes are actually pretty addicting. I, for one, can’t resist reading through the small section of words under my zodiac sign (Pisces), when I see it in a newspaper or magazine ” and I know I’m not alone with that! 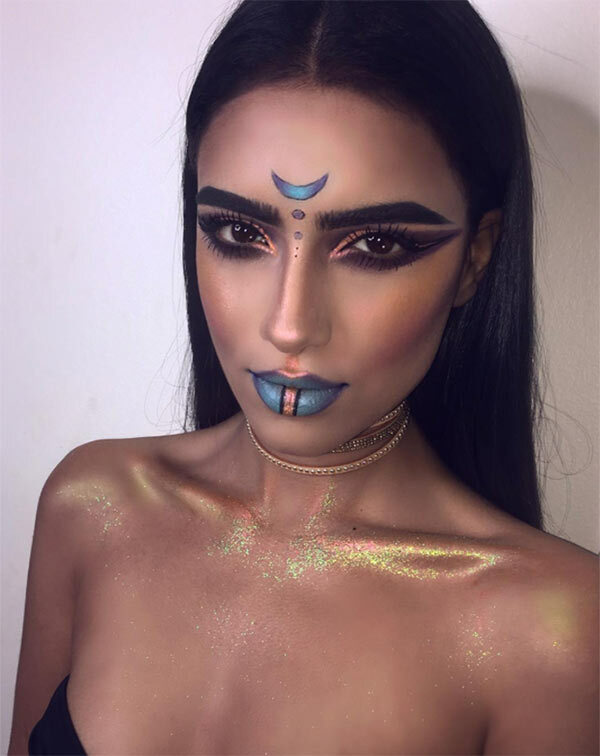 One model and makeup artist, Toronto-based Setareh Hosseini, decided to take astrology and tie it right in with beauty, creating a full-faced makeup style for each of the zodiac star signs. Along with each makeup look, Setareh gave a description of characteristics people with that sign have, which explained the beauty choices she made. And so, below you will find each of the 12 makeup looks for every zodiac sign with their accompanying descriptions. This girl is rebellious and unpredictable. She’s all about taking unexpected action and anarchy; but there is also great wisdom, and she will always strive for the world’s soul to be kept in equilibrium. Above all, though, she is totally captivating, even though she is terrifying, and they go hand in hand for her ” she constantly skirts the line between insanity and genius; she lives in the future, and her moods and actions vary from minute to minute. This stunning makeup look is all about sparkle and rich color. By breaking up the captivating blue on the lip with a black-lined gold stripe, she’s adding intrigue to the look, just like how the Aquarius woman is mysterious, and with a “split personality.’ Going rich and bold at the eyes, she brings attention to the blue crescent at her forehead, finishing off the look perfectly with a statement.